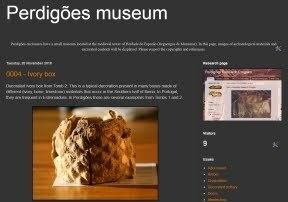 This new web page is dedicated to the public display of Perdigões Research Program. Here, the visitor can get information about the organization of the program, collaborating researchers and institutions and developments of the project. A list of complete bibliographic references (with links to online papers), newsletters and images of the site, excavations and archaeological materials will be available. The page will be regularly actualized, so be in touch with Perdigões. Parabéns, votos de muito sucesso da página e cá estarei para ver assiduamente os posts!